Footwear and apparel maker Skechers USA, Inc. broke ground last week on a project that will more than double the size of company’s corporate headquarters. The centerpiece of the project is a 100,000-square-foot design center and executive office, which will be located on Pacific Coast Highway in Hermosa Beach. A short distance north in Manhattan Beach city limits, plans call for a new office building at 305 South Sepulveda Boulevard and an expansion of the existing headquarters building across the street. 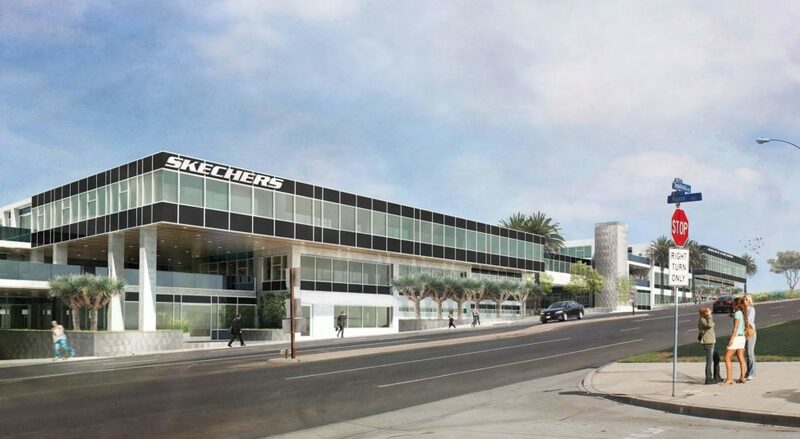 A full buildout of the project will expand the Skechers headquarters to more than 330,000 square feet, and is expected to be completed by 2022. The series of two- and three-story structures are being designed by DFH Architects, which also designed the original headquarters building at 330 South Sepulveda Boulevard. The new construction is intended to achieve LEED Gold Certification through the inclusion of drought-tolerant landscaping solar panels, and low-water plumbing and irrigation, amongst other features. 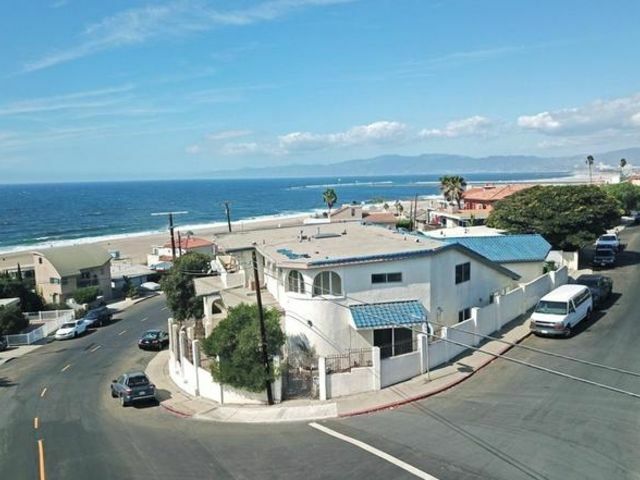 Plans also call for public realm improvements in the surrounding area, including a “Welcome to Hermosa Beach” sign at PCH and Longfellow Avenue, the undergrounding of utilities, and improvements to sidewalks and street furniture.